Elephant Printed Wall Decal Drawn by Diesel & Juice Illustrations. Please note: Colors may vary slightly from the image above. 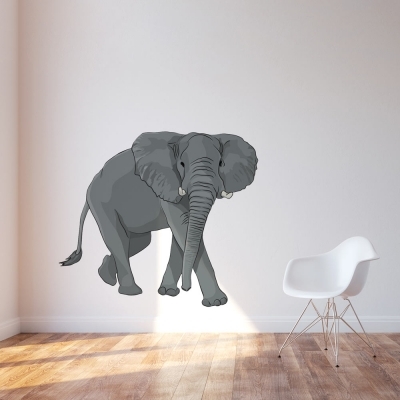 Turn any room into an African Safari with this lifelike Elephant Printed Decal! This gently giant will give the finishing touch to your zoo or Safari themed birthday party, baby room, or classroom.